I know I keep saying that cauliflower really isn't my thing, and yet I seem to keep buying it. When I saw a romanesco at the farmers market, I couldn't help myself, and figured that since I keep finding great recipes for it, I should probably try to get over my aversion. Romanesco, it seems, is part of the cauliflower/broccoli family with a flavor quite close to that of the former. 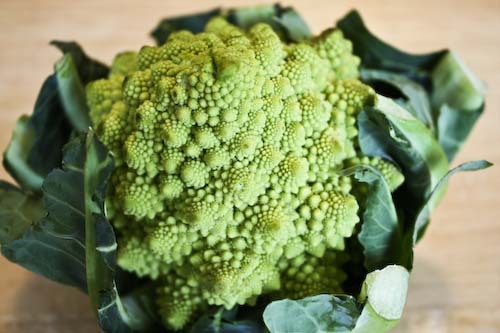 R said he preferred the taste of the romanesco to that of cauliflower, he thought it was a bit more subtle. 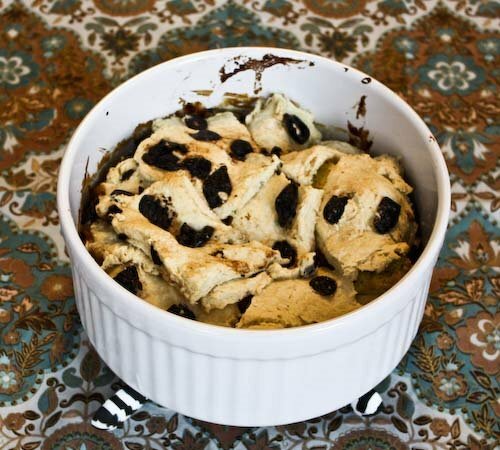 There are several steps to this recipe, you must cook the veggies and make the roux separately before combining them under a pillow of black olive and thyme crust. But nothing is terribly challenging as long as you have a little bit of time. As is par for the course with the wonderful Veganomicon we loved this potpie. It had a wonderful depth of flavor and was extremely satisfying. I have to confess, however, that I used regular milk and butter in place of the alternative vegan milk and margarine called for. But for me, as a non-vegan, this book offers a wealth of delicious meatless recipes which I don't necessarily keep strictly dairy and egg free. You can, of course, choose to use vegan alternatives in keeping with the spirit of Moskowitz's and Romero's intention. A Dutch oven is a handy cooking vessel for this recipe, if you have one. If not, any heavy-bottomed pot will do. Heat a saucepan over medium heat and make your roux by melting the butter adding in the flour. Stir the mixture until it is the consistency of a thick paste, and cook for about 5 minutes until it is browned and bubbling. Remove the pot from the heat for a moment and slowly add in the milk, whisking until the mixture is smooth. Add the herbs, mustard powder, salt and the bay leaf. Return to medium heat and whisk constantly for about 10 minutes until it thickens into a nice sauce. Remove the bay leaf and correct the seasoning. Remove from the heat and set aside. Heat the oil in your Dutch oven over medium and sauté the leeks and carrots for around 8 minutes, until they are soft. Add the mushrooms and vinegar and continue to cook for another 8 minutes. Add the cauliflower, partially cover the pot and allow the veggies to steam for a final 8 minutes. Remove from the heat and set aside. 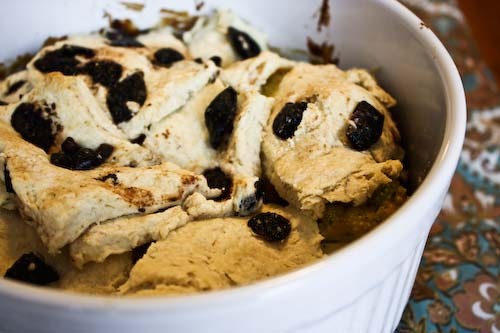 Sift the dry ingredients together, and cut the cold butter into the mixture until it is crumbly. Add 3 tablespoons of ice water and mix. You may add additional tablespoons of water in one at a time until it comes together as a soft dough. 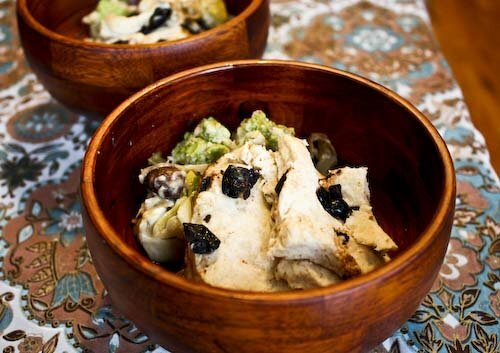 Fold in the olives. Turn the dough out onto a lightly flour surface and roll it out into a circle a bit smaller than your dutch oven. Cut the dough into sections. Whisk the sauce to get rid of any skin that has formed and pour it over the veggie mixture. Stir so that everything is coated and arrange your dough pieces on top. Brush with milk. Bake for 35 minutes until the veggies are tender and the dough is cooked. Allow to rest for a few minutes before digging in. Enjoy! Wow! 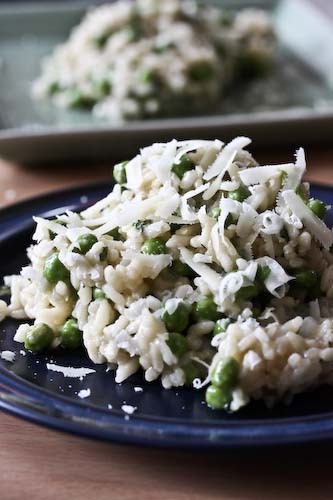 What a gorgeous recipe and beautiful photos! You are REALLY reminding me that I need to pull out that cookbook! This looks so good. 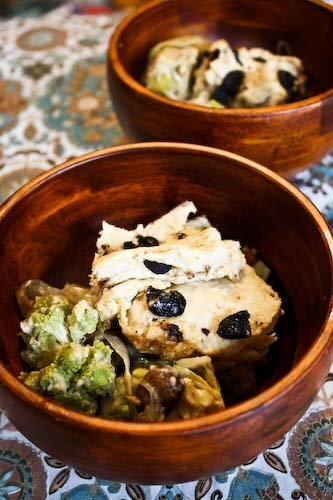 Veggie pot pie sounds great right now, and the black olive biscuit crust tops it off perfectly. i share your instinct to purchase intriguing produce, especially if it's been in recipes I've seen lately. and you know, i love mushrooms. I love the sound of that crust, delicious! Hi Dana, yes, you really do need to give it a look. You're going to LOVE it once you start cooking from it! Lisa and Sam, I loved the crust, but R is not such a huge fan of olives so he picked them out and gave them to me. Oh well!